To help strengthen market presence across the Middle East, US, and Indian markets, as well as expand into new territories, Bangalore-based Facilities Management Tech start-up Facilio has raised $6.4 million from international venture capitalists, Tiger Global Management, LLC and existing investor Accel. Founded in 2017 by cloud and IoT veterans Prabhu Ramachandran, Rajavel Subramanian, Yogendra Babu, and Krishnamoorthi Rangasamy, Facilio offers real-time facilities management to commercial real estate owners. The company uses IoT and AI to predictively optimize operations and sustainability while providing a superior tenant experience. “Buildings today need agility to adapt to a rapidly transforming landscape. Legacy systems, high upfront costs and long implementation cycles of traditional FM software vendors are bogging down clients with their inflexibility. There is a definitive shift towards embracing an IoT and AI led software system that empowers the built environment with speed and agility to improve efficiencies. We aim to be frontrunners in leading this transformative change in the industry,” said Prabhu Ramachandran, Founder & CEO, Facilio Inc.
“Facilio has exhibited strong performance and growth over the past year which is a direct result of the exceptional credentials of the team, their sharp go-to-market strategy and their excellence in execution. We believe Facilio will continue to make significant strides in transforming the Facilities Management industry, to emerge as leading new gen technology vendors in this space,” said Shekhar Kirani, Managing Partner, Accel. The Smart Buildings and Facilities Management space is undergoing rapid transformation globally, with the global real estate and building management software market poised to grow to more than USD 7 billion by 2022 as per research consultancy Verdantix. Locally, research agency TechSci predicts the UAE Facility Management Market to reach a value of USD 17 billion by 2021. “It is an exciting time for us to have the two heavyweights of the venture capital world backing our idea. The funding will allow us to pursue our expansion and consolidation plans aggressively, while also investing in R & D for product innovation,” added Ramachandran. 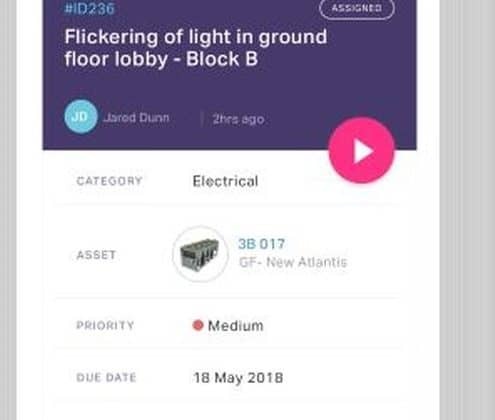 AI-based facilities management startup Facilio raises $6.4 million from Tiger Global, Accel 0 out of 5 based on 0 ratings. 0 user reviews.